Last week I revealed that in 2010 I joined two cults. I talked about two organizations that our culture talks differently about. The first was Apple. You can read about my Apple affiliation here. The other cult I joined has to do with my blogging hobby. I started blogging in 2006 as a way to take my thoughts of organizing my Game Plan for life to an online forum. I’ve always kept a journal and made plans, and this was my attempt to take it to the next level. I’d say I accomplished that. But just to look back, here’s my first post welcoming all my readers to the Game Plan. Over the next four years my blogging evolved. Last year, after subscribing and even studying some of the best bloggers in the world, I decided I needed to take my blogging yet again to the next level. At this point I had focused my content and even created a moto: in pursuit of a healthy and disciplined lifestyle. I had established my voice through my blog. The blog was no longer an online journal but rather a platform for me to talk about areas where I could add value to people’s lives – specifically areas of exercise and personal discipline, including leadership. One of the most significant areas where my blog was behind other prominent bloggers was the platform. I had started blogging on Google’s Blogger and that was a great start to blogging. After all, I didn’t know if this hobby would stick and I knew most blogs fail after about three months. My blog made it – here I am five years later and 100% better. So this brings us to the next cult I joined – WordPress. Every serious blogger I read except one (Seth Godin) was using the (free) software developed by Matt Mullenweg. This upgrade required me to purchase a domain and a hosting plan (you know the domain, hosted at DreamHost). 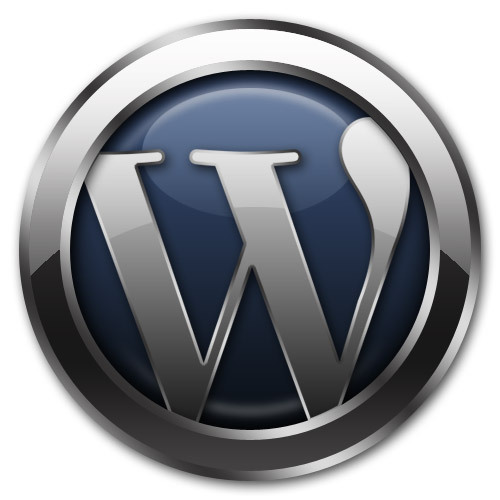 There are many other reasons and decisions built into this, but for now I want to highlight WordPress. ownership – I was forced to purchase an online domain. This is becoming more and more important as the digital world develops and an online presence is increasingly important. appearance – Blogger is good for many people, but my ambition is to develop my blog into an extension of my business in the exercise and fitness industry. WordPress is much more professional looking. options – As a profitable business, not just a free add-on of Google, WordPress is loaded with options and customization that allow me to organize my content as a legitimate content management system rather than simply a series of posts. To be fair, Blogger has added some nice features. But WordPress is a legitimate piece of software for building an online business. The reason I was inspired to talk about these two cults is because as I spend time studying business, leadership, and publishing (including blogging) there are certain organizaions and best practices that jump off the page. Two fo those for me have been Apple and WordPress. Have you ever heard of anyone promoting their HP or Dell computer as a machine worth talking about? Have you spent time in the blogosphere and heard people rave about Blogger, Tumblr, or Drupal? I don’t have any significant research here, but I’ve had my hands on the pulse of the digital world, and these two products are superior. But as any practitioner will tell you, it’s not the software that will make a person successful. It’s not the tools (in and of themselves) that will provide an advantage over the competition. It’s how you use the tools – ultimately it’s about the content. The my new products I enjoy writing, I am more efficient with my time, I look more professional, I have more options, and at the end of the day I’m putting a better foot forward. This entry was posted in blogging, Discipline on February 23, 2011 by Hans Schiefelbein.